For optimum power and safety, measuring your air/fuel ratio is imperative when tuning. 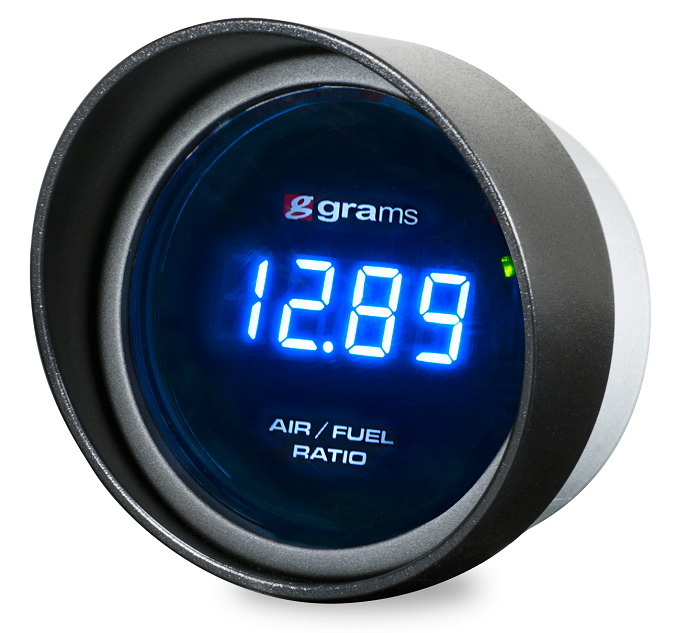 The Grams Wideband Air/Fuel Gauge measures at 52mm (2.047”) with an LED display that features a 3 color sweep from red, yellow to green. The Grams Wideband utilizes the latest Bosch 4.9 LSU sensor that displays an easy to read 4 digit display with speedy accuracy down to 0.001. 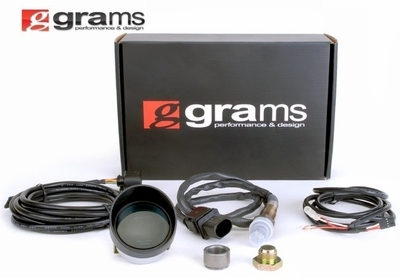 The Grams wideband air fuel gauges feature a 0-5v output for closed-loop feedback when pairing with a standalone ECU. This 0-5 volt output can be used with any of our engine management setups / ECU's (Crome, Neptune RTP, Hondata S300, KTuner, Kpro, etc) for accurate air/fuel readings when tuning!